This product review couldn’t have come at a better time. I have just completed my second marathon and my feet are in desperate need of recovery. Here’s how the OOFOS OOmg’s helped with that. 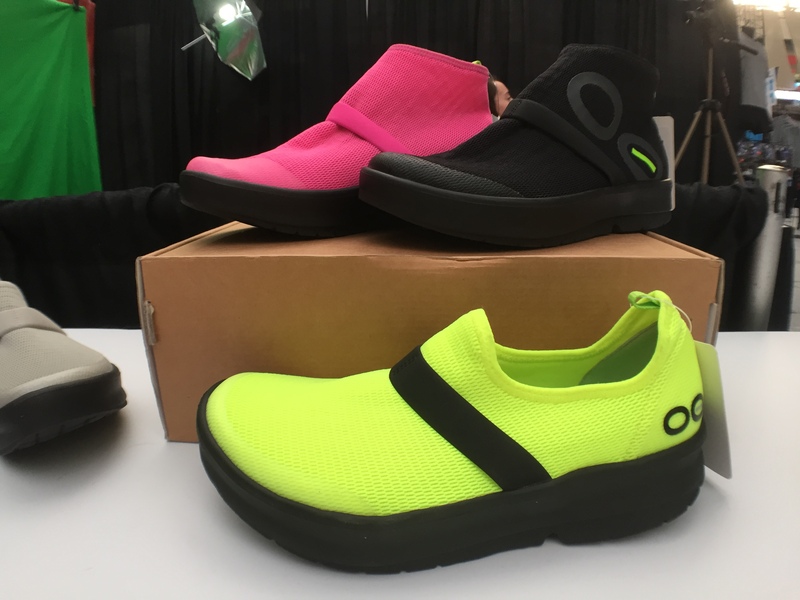 OOFOS is popular in the running community as the recovery footwear of choice. Their OOfoam technology absorbs 37% of shock compared to normal footwear, which means it’s easy on your feet, knees and back. It gives you full arch support and its cushiony and curved footbed is designed to give you a more flowy and natural step, without the pressure. View this video below to learn more about their technology. 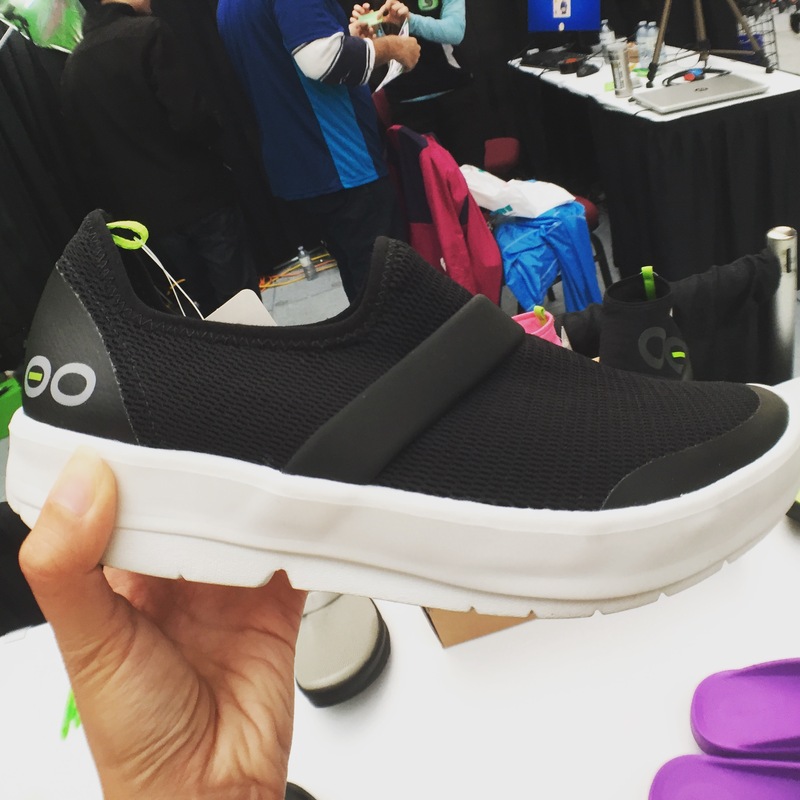 The OOmg is their newest release and also their first shoe. It comes in 3 colours: black, grey and citron. There is a low cut version, which I tested, and a high cut as well, which is still not released. I did see a preview of the high cut at this year’s Vancouver Sun Run Fair. The high cut is more like a low boot. 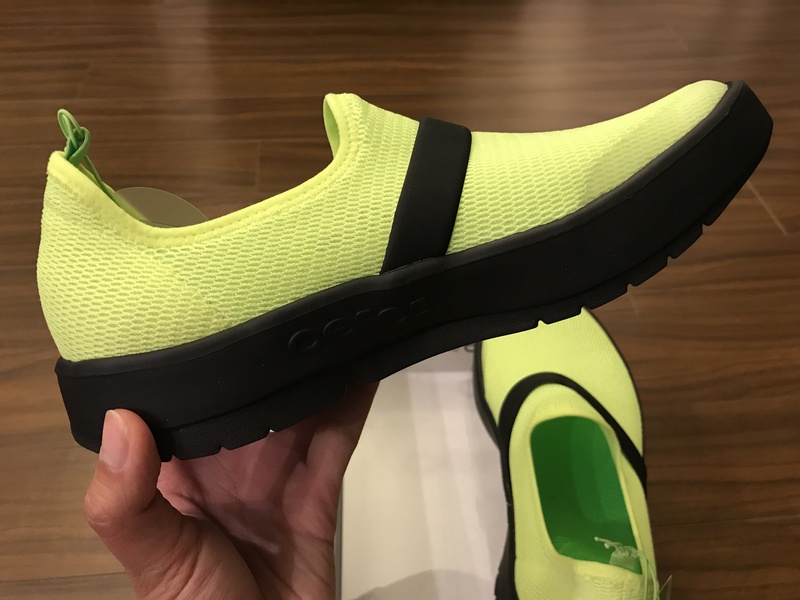 These shoes have the same OOfoam footbed and a light mesh upper. It’s very flexible, I can stretch and splay my toes out without a problem. It’s comfortable – OOfoam is the best! I wore it right after the marathon and again the next day and they feel like slippers. In fact, I’ve worn them at home as slippers. 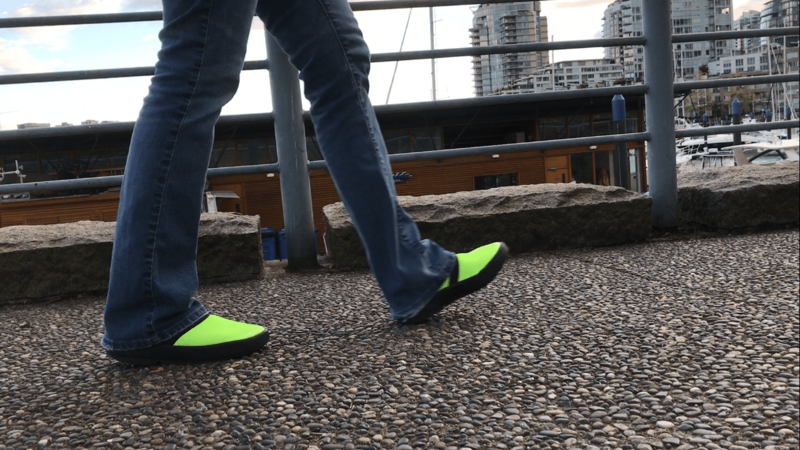 I walked on the seawall and city streets in these shoes and I felt like I was walking on pillows. I could barely feel the cracks on the ground. They’re light – You can pack them in a bag and it doesn’t add much weight. Don’t let looks deceive you. They look clunky but they really aren’t. Arch support – The extra arch support feels amazing after a long run. It just hugs every inch of the bottom of my feet. Machine-washable – Yep, you can put them in the washing machine with mild detergent but don’t put them in the dryer! One of the only drawbacks to this shoe is the price. At $120 USD, it’s more than I normally spend on non-running shoes. However, you have to think of it as an investment. If you only use these on days right after big races, you’ll get a lot of wear time in them. If the price is too steep but you still want the recovery footwear, check out the OOriginal and OOlala sandals. They retail for $59.95 USD. What are your recovery rituals? Leave a comment below! I’m not a runner but As of November Oofos has hooked my feet up better than anything I’ve tried for my metatarsal agony. Not ony that, but they corrected my alignment. I have experienced no back pain that I’ve had pretty regularly for a few years now.